First private university to become the overall champion & collected the most medals in the 11 years of the sports carnival’s history. Cyberjaya, 6th February 2018 – Cyberjaya University College of Medical Sciences (CyberjayaUC), a 5-Star university, bagged 9 gold medals at the 11th MyPSA National Pharmacy Sports Carnival (NPSC). The event was hosted by International Islamic University Malaysia (IIUM) at its Kuantan campus from 2nd to 4th February 2018. 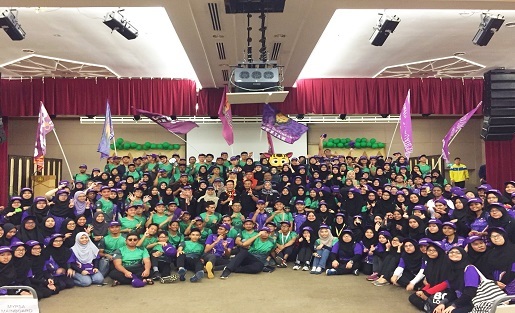 The sports carnival organised by the Malaysian Pharmacy Students’ Association (MyPSA) with an aim to create a platform for pharmacy students to cultivate a balanced and healthy lifestyle saw the gathering of pharmacy students from 19 universities. The event was very competitive with all teams gave their best. CyberjayaUC team edged the likes of USM, UiTM, AIMST, IMU, MSU, Taylors, Monash and the rest in coming up tops for the second year in a row. CyberjayaUC’s Pharmacy students won the competition with 9 gold, 12 silver, and 8 bronze medals and were named as the overall champion for this year’ event. The contingent was led by Mohammad Izzul bin Abd Rani and Mr Masro Mohamad as the advisor. “We always encourage them to take part and excel in both academic and extra-curricular. CyberjayaUC believes in holistic students’ development and being the first private institution to continue to strive in this competition is amazing. Congratulations to all lecturers and students who have put extra efforts and went through thick and thin together as a team.” she added. The 9 gold medals were won from different events such as athletics 100m (men), 200m (men) and 200m (women); swimming 4x50m freestyle (men) and swimming 4x50m freestyle (women); sepak takraw, tennis (women) single, tennis (women) double and squash (women). Last year, the university was also named as the overall champion and it gave an intense pressure for the team to retain its’ title this year. Nevertheless, the hard work, sweat and commitment have given were all paid off when naming as the champion for two years in a row. “Our achievement last year was our greatest inspiration. This year we strove harder to defend our title as the overall champion. I encouraged them to give their best for our university and to focus on winning their games. The students also received the full support from the lecturers and coaches as we were there to lift up their spirit and ensure powerful cheers during their games.” he added. Syed Mohd Ridzuan bin Rafle finishes the race at the 11th NPSC 2018. Mohammad Izzul bin Abd Rani, CyberjayaUC’s Head of Contingent said, “We are grateful to be announced as the overall champion of 11th MyPSA National Pharmacy Sports Carnival 2018. As the head of the contingent, I always monitor each teams’ progress and players conditions, making sure that they are mentally and physically prepared to face our opponents in the games. Supports and expectations from lecturers, boosted our spirit to strive for the best.” He is also the third-year pharmacy student and a Silver medallist men basketball. Back in 2017, Cyberjaya University College became the first private institution to have become the champion of this tournament and collected the most medals in NPSC 11 years history. Throughout the decade, past champion includes International Islamic University Malaysia (IIUM) for seven consecutive years (2008 – 2014) and Universiti Sains Malaysia (USM) for two consecutive years (2015 – 2016). 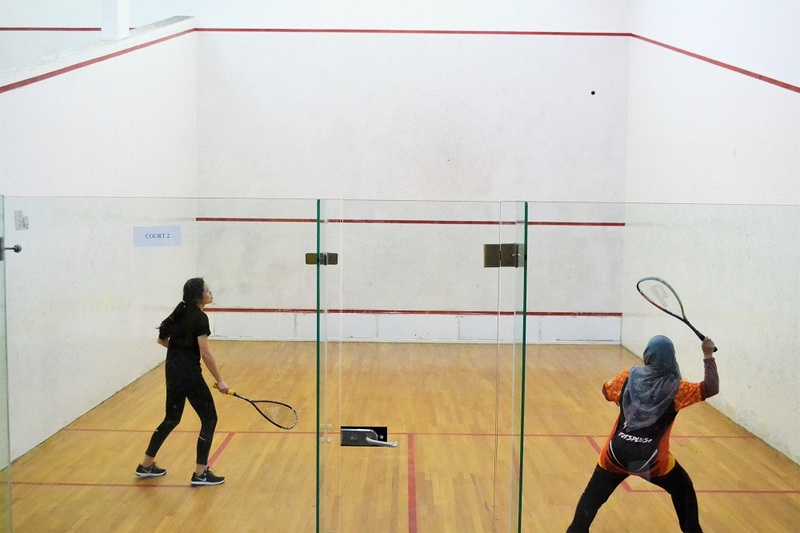 Nik Amirah Syazlin binti Rozman, a final year pharmacy student and a Gold medallist squash woman at the 11th NPSC 2018. “As a final year student, our schedules are tight, however, by participating in sports, I learned new skills and also released my stress. 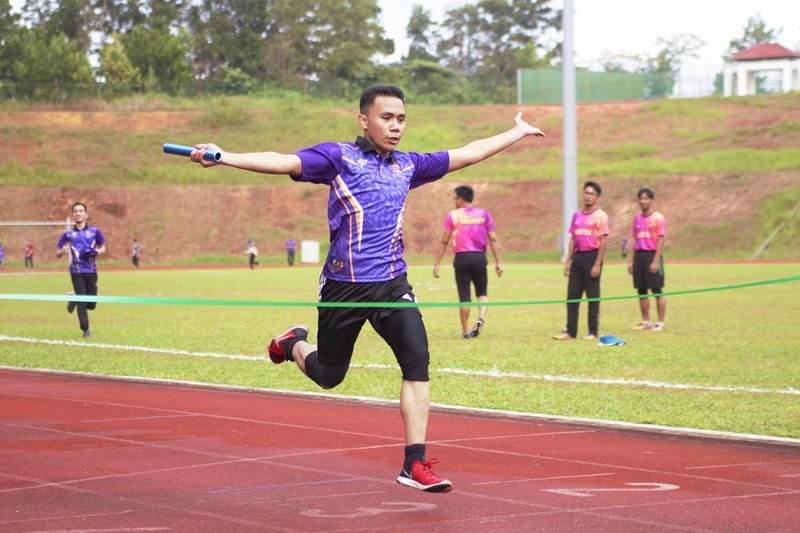 Having a sense of time management and being able to cope with everything else in between is only the tip of the iceberg; but it’s an absolute blessing to be surrounded with those who see greatness within you even when you don’t see it yourself,” said Zainol bin Johari, a final-year pharmacy student and the Gold medallist for the 100m men athletics, Gold medallist 4X50m freestyle men swimming, Silver medallist 4X100m men athletics and Silver medallist 50m freestyle men swimming at the 11th NPSC 2018.